The Montreal Canadiens were also busy during the free agent frenzy on Friday, proving general manager Marc Bergevin’s tendency for risk-taking. Fans were still rattled by the exit of P.K. Subban in exchange for Shea Weber when Bergevin pulled the trigger and signed Alexander Radulov to a one-year contract worth $5.75 million. If the name gives you pause, it’s for good reason. Radulov hasn’t played in the National Hockey League since 2011-2012, when he had seven points in nine games with the Nashville Predators. After being suspended by the Predators for a curfew violation, Radulov left for Russia. The suspension took place in the playoffs, by the way. According to Bergevin, he’s done his homework on Radulov. And he is getting a highly-skilled player in the Nizhny Tagil native, but it’s hard to ignore the known issues. Radulov said in April that he wanted to return to the NHL, but he also said he wanted to remain in Russia as recently as last week. His commitment level will obviously be a question for some, but Bergevin has trust in his new acquisition – and it came in part because of new Hab Weber. 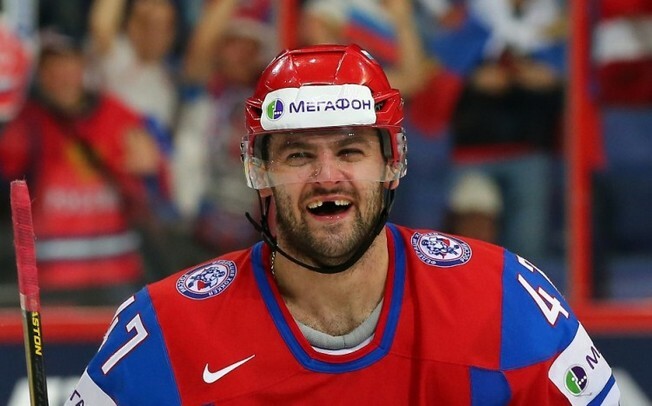 As far as Radulov is concerned, what’s in the past is in the past. There are some Quebec roots for Radulov, as he skated with the QMJHL’s Quebec Remparts for two seasons. He has developed into a quality scorer and could bring considerable offence to the Canadiens, if he can bury his issues and play with consistency.